Henry and Hand are the best of friends. They're as close as it's possible to get. In fact, Hand is Henry's right hand — literally! You see, Henry is a giant who has a few problems keeping track of all his body parts. He's been known to leave a leg behind in bed, and once one of his eyes rolled under the couch and refused to come out. But Henry knows he can count on Hand to always be there for him. 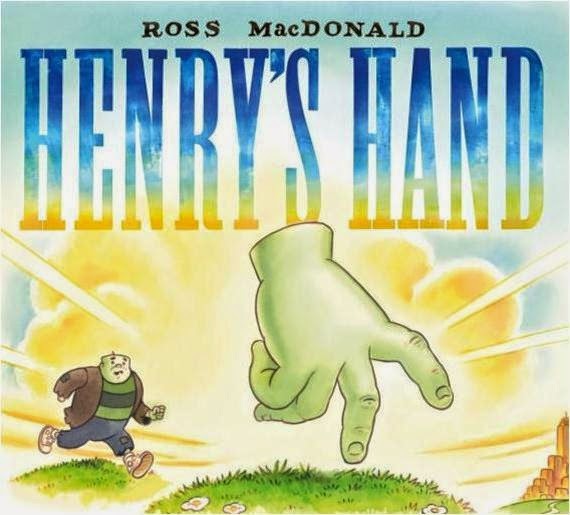 Henry's Hand is a very entertaining and highly original exploration of friendship and what can happen if friends take each other for granted. When Henry starts to take advantage of Hand, asking him to do things he should really be doing himself, it's not long before Hand decides to leave — to go somewhere he'll be appreciated. He ends up in the city, where through a combination of bravery and luck, he finds himself a hero, set up in a lavish house of his own with a full complement of servants waiting on him hand and foot. Life couldn't get any better. Or could it? Meanwhile, back home in the country, Henry realises that life without his best friend isn't much fun at all and decides it might be time to apologise to Hand for how he treated him. But will Hand accept his apology? Friendship, forgiveness and loyalty are all artfully examined in this quirkily different story of two friends who truly belong together.